Country Fest features the best Country music has to offer. Enjoy all your favorites performing in a natural amphitheater and featuring a superb sound system, jumbo screens, picture-taking line up to the stage, tasty food, souvenirs, 8,000 spacious campsites right next to the concert area, showers, security, medical and convenience stores. Choose from general admission or VIP seats (VIP up-front seating, great meals, beverages and parking). 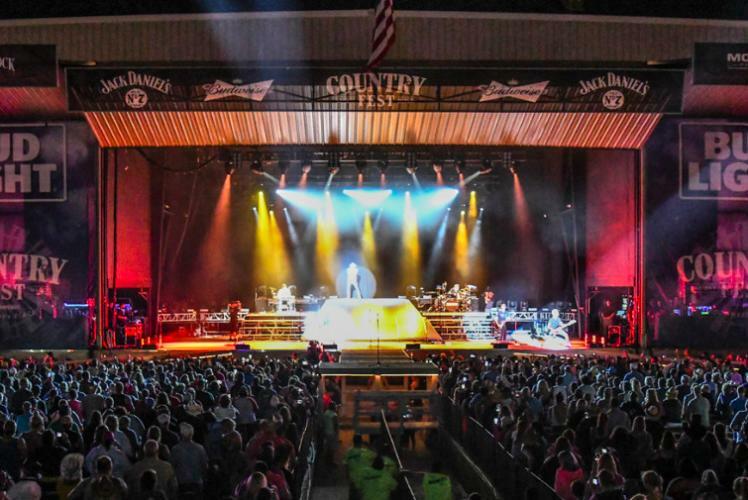 This year's line up includes: Luke Bryan, Sugarland, Little Big Town, Cole Swindell, Brett Young, Justin Moore, Phil Vassar, Diamond Rio, Neal McCoy, Lauren Alaina, and many more.